What is Ford Developer Program ? The Ford Connected Services team offers its warm welcome to the developer community. 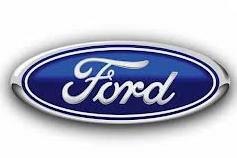 The Ford Developer Program offers a complete set of software development tools and technical services to developers and partners enabling the creation of a global development and distribution ecosystem that will drive innovation and usage. This program will give app developers access to its SYNC system alongside its AppLink API. Ford has allowed developers for the past three years to access various portions of its API, but entry to gain access to the APIs was still fairly high . In Ford Developer Program at CES 2013 they informed that the barrier to entry to gain access to the APIs has been changed which help the developers to play around with that . App developers can utilize this Ford Developer Program to allow vehicle owners to control some of their favorite apps for in-vehicle use with SYNC AppLink, using voice commands. With a diverse set of categories such as Music & Entertainment, News & Information to Navigation & Travel, Health and Wellness, Ford offers a great opportunity for developers to integrate their apps into the car. What is Ford SYNC® AppLink™ ? Enjoy some of your favorite smartphone apps while driving with command and control simply using your voice. SYNC® AppLink™ lets you enjoy certain apps from your supported smartphone with simple voice commands and buttons on your steering wheel. A seamless drive with cutting edge technology! What are OS that supports in Ford Developer Program? Android : SYNC AppLink works with most devices with Android OS 2.1 or later. What are the supported device in Ford Developer Program? Android™ applications communicate with SYNC® AppLink™ over Bluetooth® and iOS applications utilize the iPod Accessory (iAP) protocol over USB. All communication is handled by the AppLink APIs. For this reason, successful enablement of a mobile application is more dependent on the OS version installed in each device, than which device is actually used. What are the Wireless operator that supports the Ford Developer Program and its device ? What are the benefits of a Developer in Ford Developer Program? What are the vehicle that supports the Ford Developer Program and its device ?